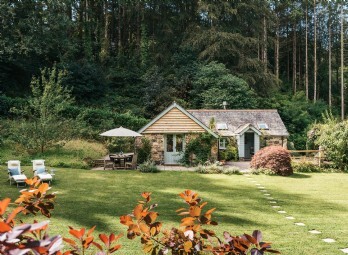 Tucked away between the trees on Cornwall’s north coast, Juneberry is settled in the quiet idyll of rural bliss. 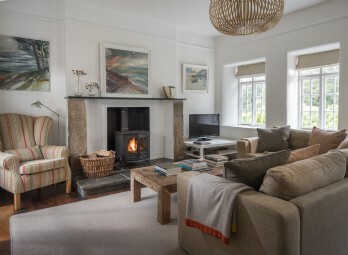 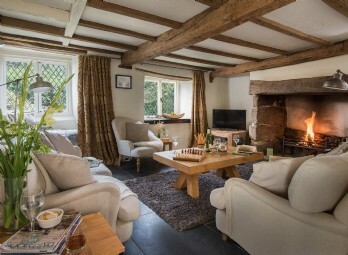 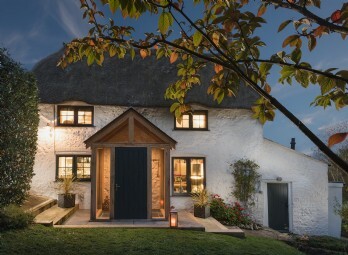 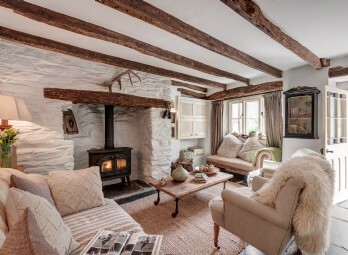 Bordering the pretty Dartmoor village of Lustleigh, this luxury self-catering cottage flaunts timeless tranquillity in its original cobbles, thick granite walls and neat slate roof, offering an indulgent couples’ retreat in Devon's wild heart. 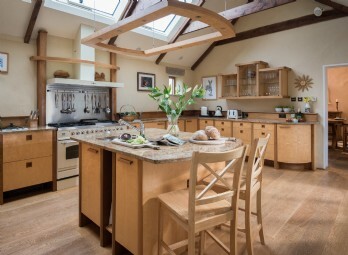 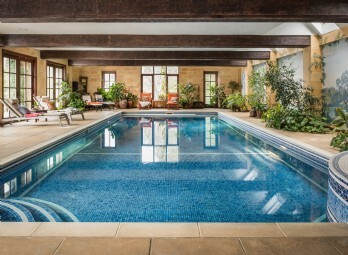 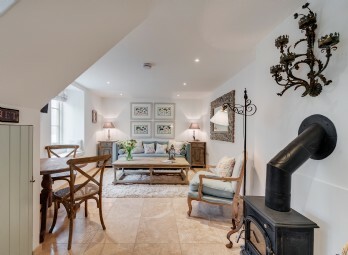 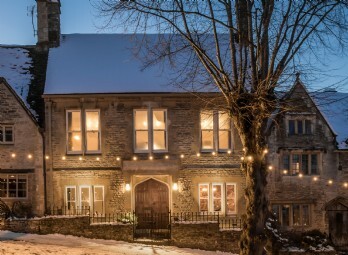 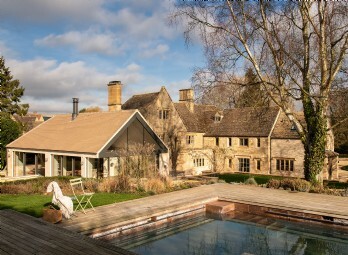 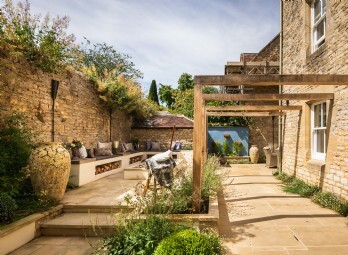 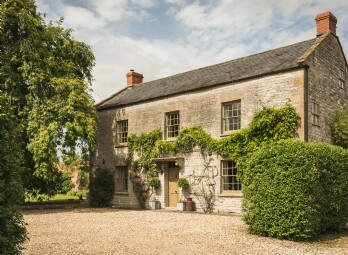 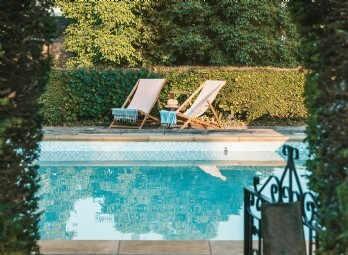 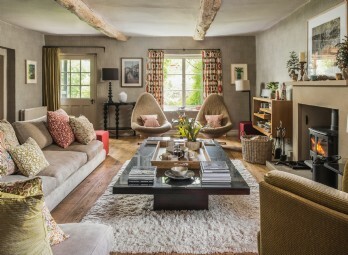 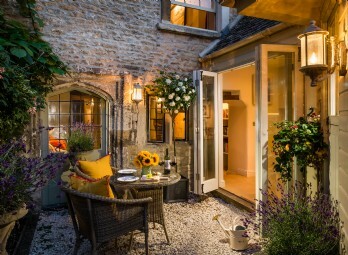 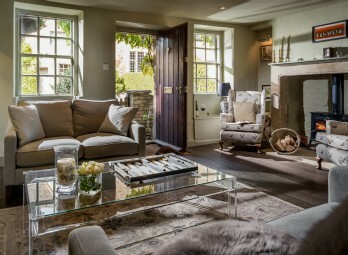 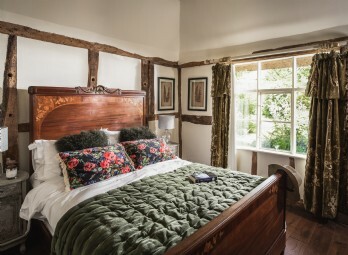 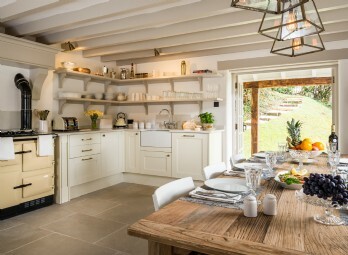 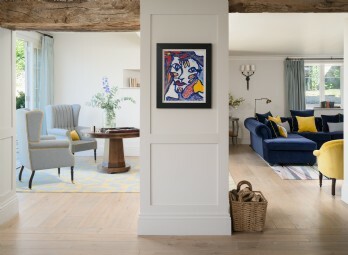 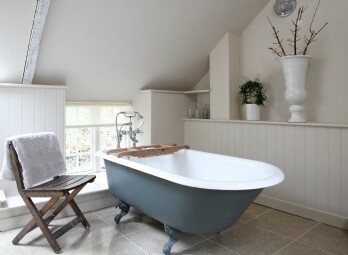 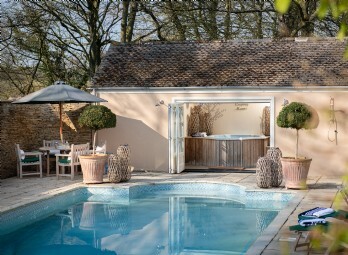 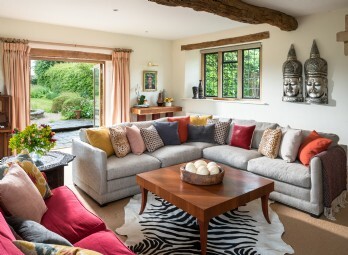 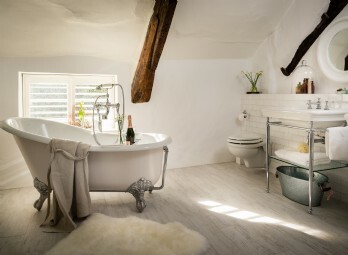 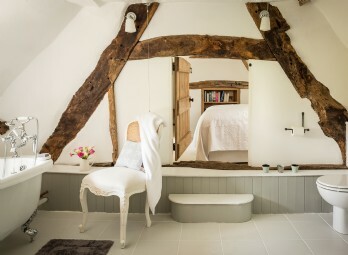 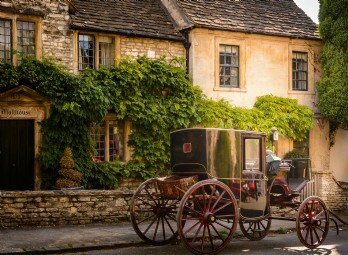 This luxury Cotswolds cottage is set in the heart of pretty Burford in Oxfordshire. 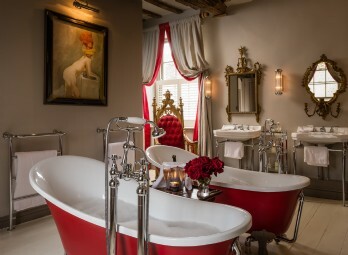 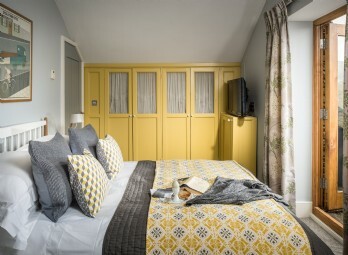 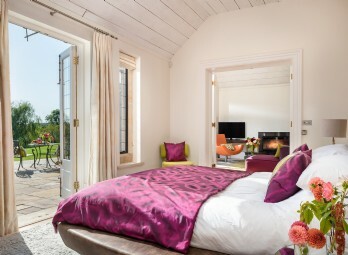 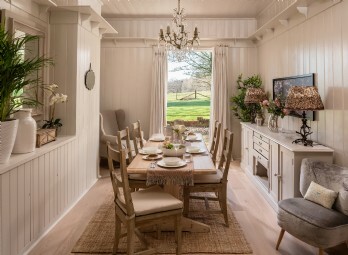 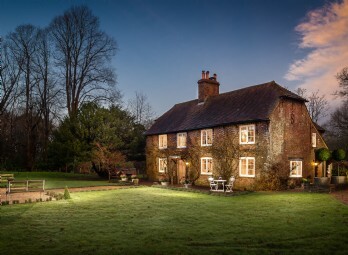 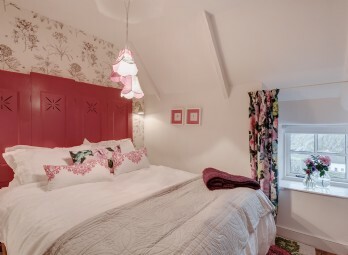 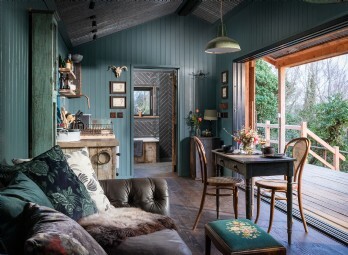 Little Scarlet offers lovers a romantic retreat for stolen weekends and holidays in the rolling countryside, pottering between tea rooms and boutiques. 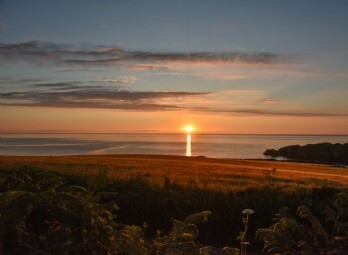 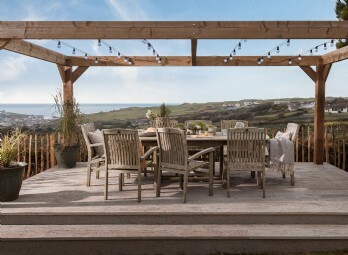 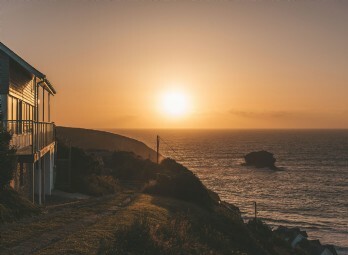 The Sea Rose is a luxury cottage overlooking the sea set in prime position amidst a quintessential fishing village of whitewashed thatched cottages, where wildflower paths and trickling streams amble down to the beautiful Cadgwith cove. 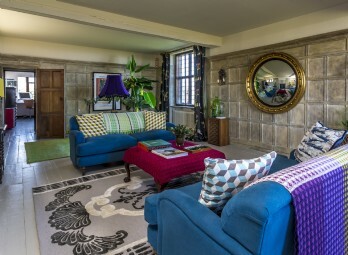 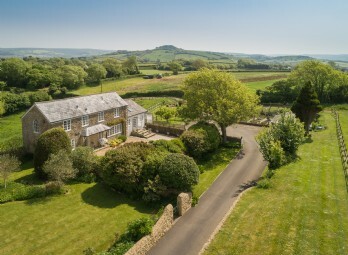 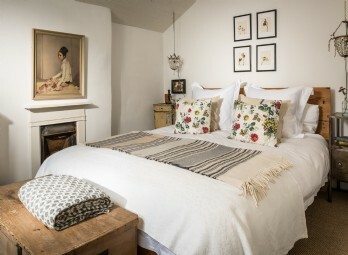 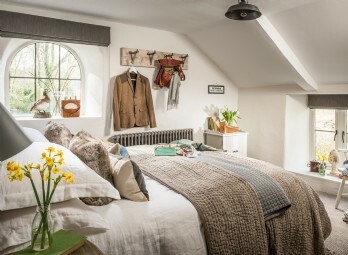 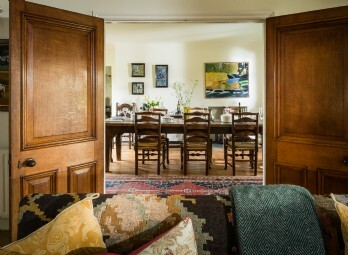 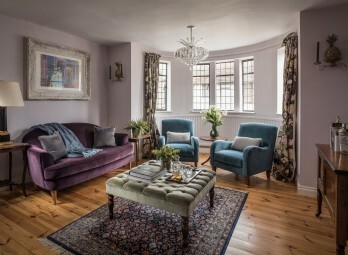 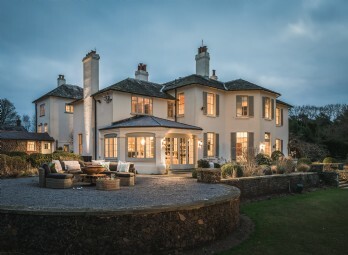 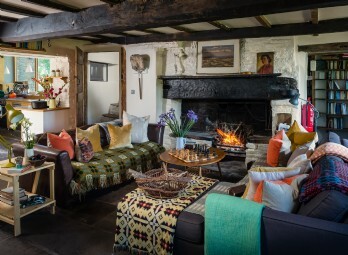 In the heart of Dartmoor National Park lies a sublime self-catering abode named Peacock Blue; the haute design and stylish interiors fuse with vintage finds and sophisticated flourishes to create a divine luxury homestay. 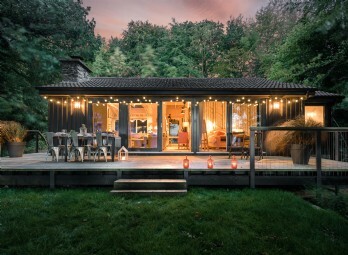 Acres upon acres of bluebell-swathed woodland provides the heart-stirring backdrop for this enchanted hideaway in the heart of the Weald Downlands in West Sussex. 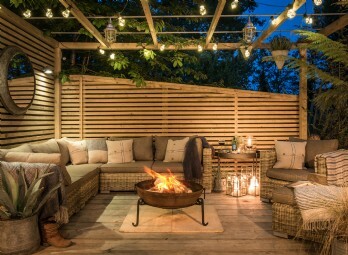 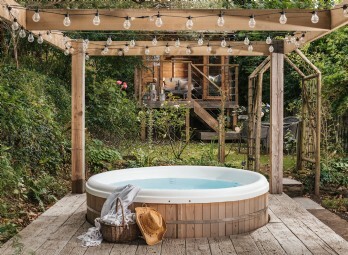 Lovebirds will find the wood-fired cedar hot tub a magical way to reconnect and revivify. 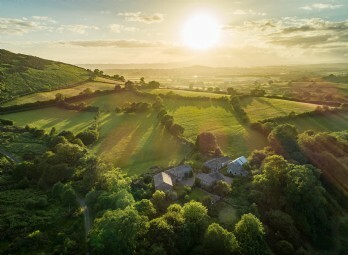 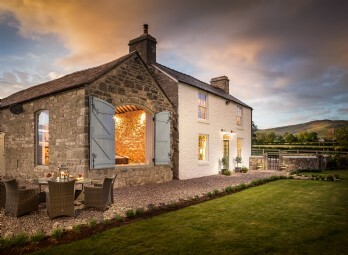 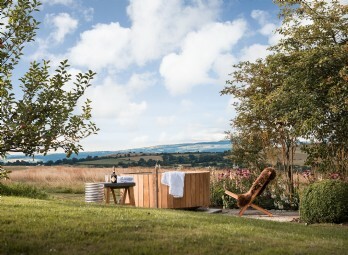 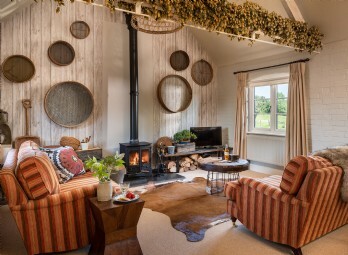 Hidden on the edge of the Herefordshire countryside lies The Nightfly; a luxury couple's retreat infused with the history of the Brecon Beacons and idyllically located near the Black Mountains. 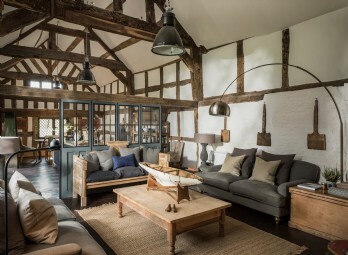 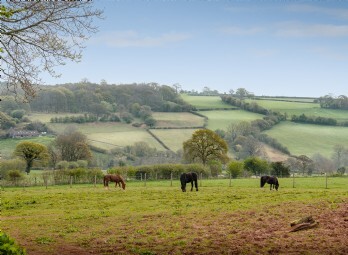 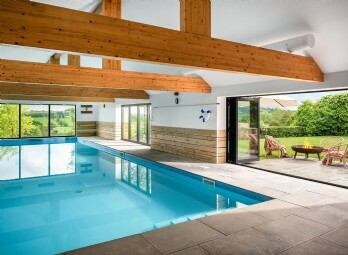 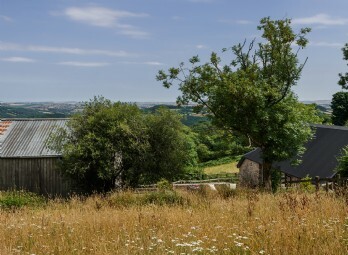 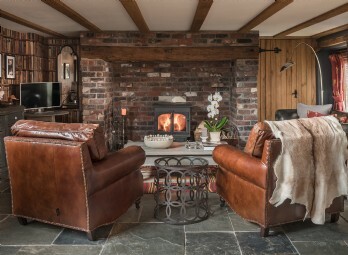 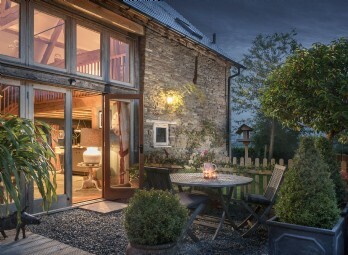 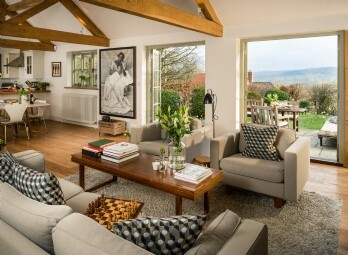 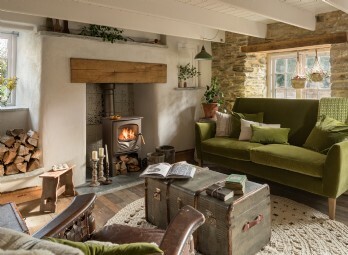 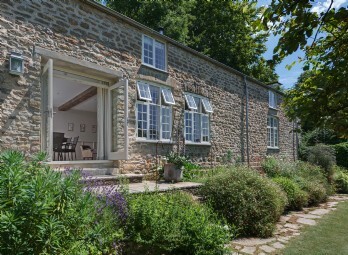 Formerly owned by dairy farmers, this bucolic barn conversion near Hay-On-Wye has been beautifully transformed into the most luxurious self-catering bolthole set in the rolling hills of the Herefordshire countryside. 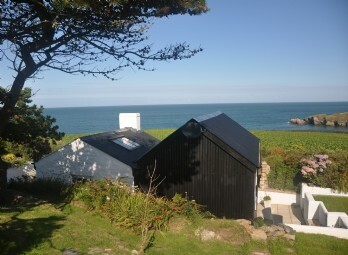 An inspiring beach cottage in Coverack for creative souls, let Siren seduce your wanderlust and take you on a journey to Cornwall’s wild Lizard Peninsula. 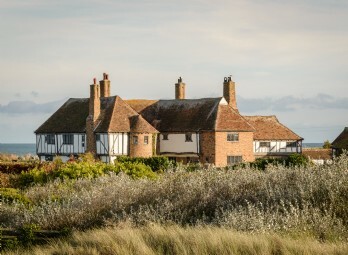 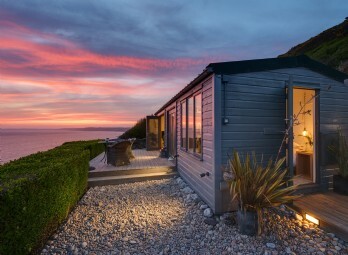 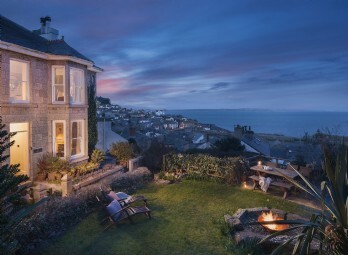 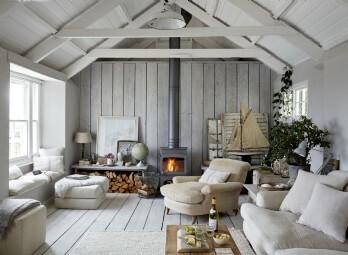 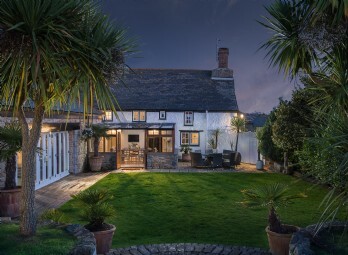 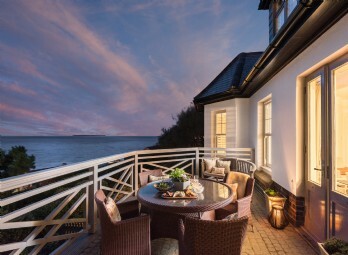 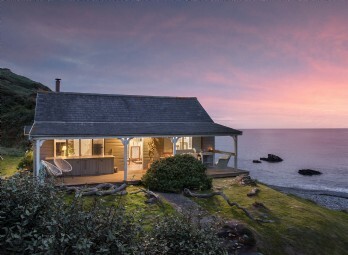 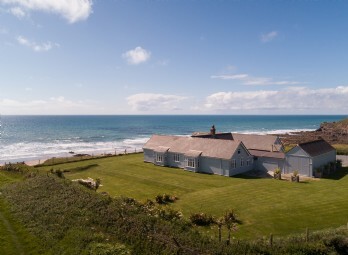 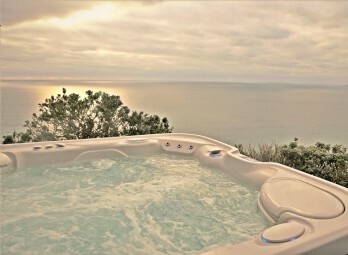 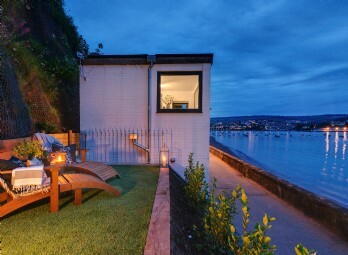 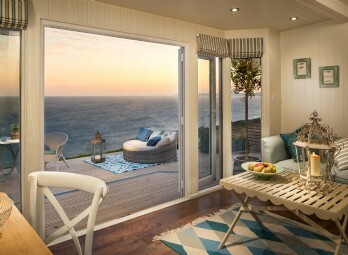 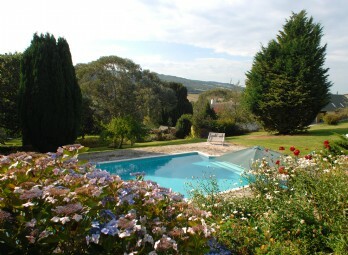 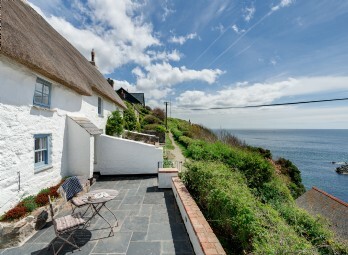 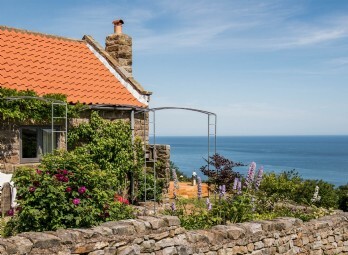 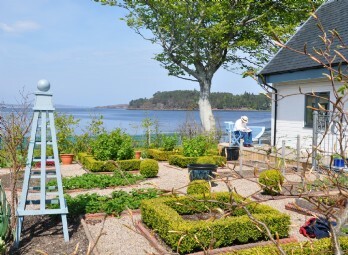 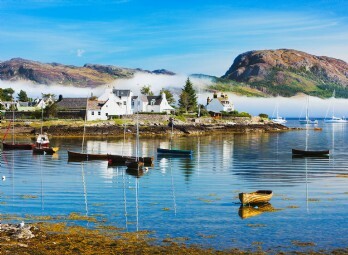 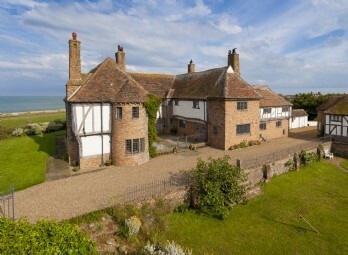 This luxury cottage by the sea is blissfully tucked away commanding breathtaking coastal views. 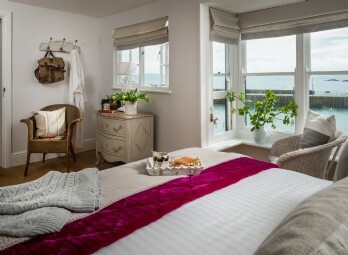 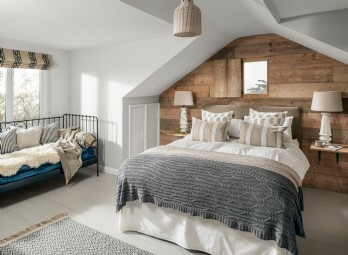 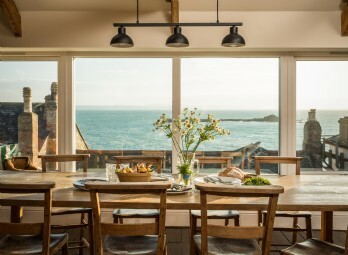 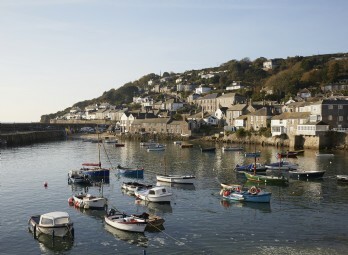 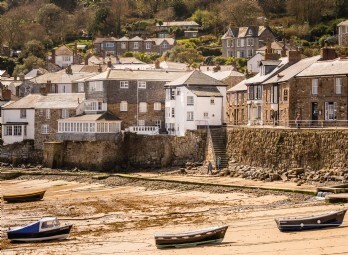 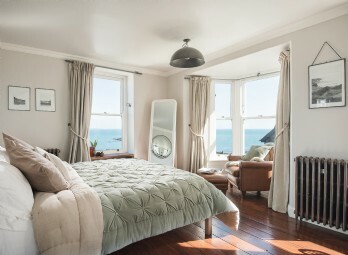 Perfectly placed right on the water's edge in the quintessential harbour of Mousehole (famously named by Dylan Thomas as the prettiest village in England), The Herringbone is a stylish net loft perfectly placed for romantic breaks by the sea. 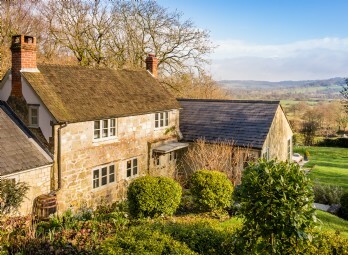 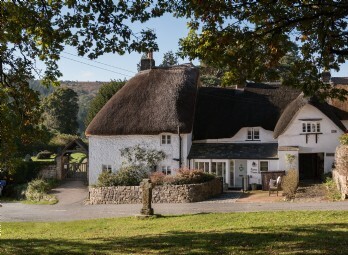 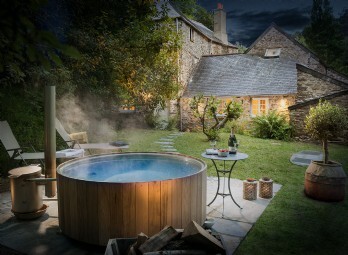 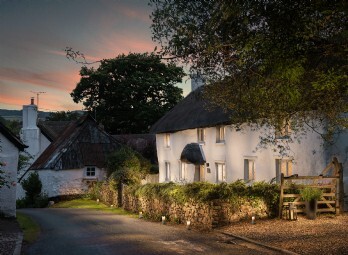 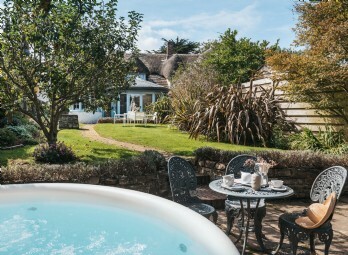 Nestled within the wilds of Dartmoor near Chagford sits Sojourn; a luxury chocolate box cottage with spa room. 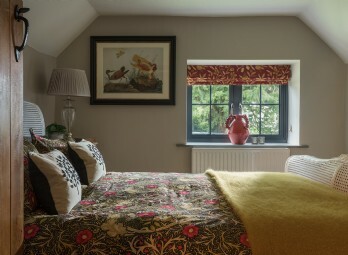 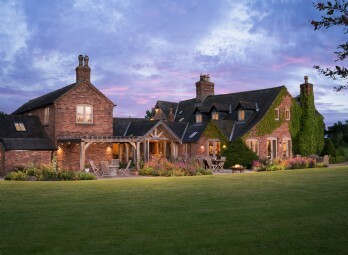 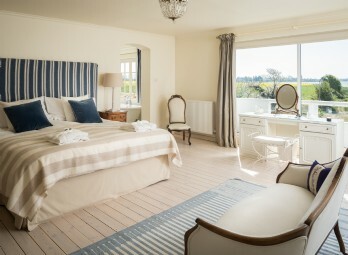 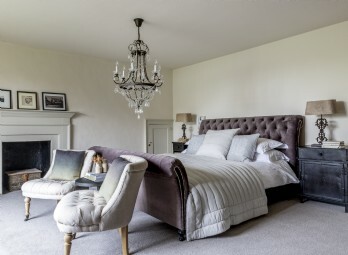 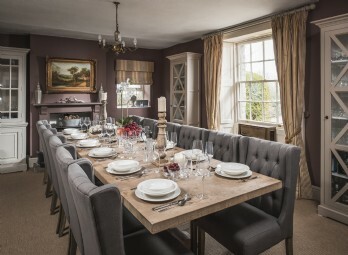 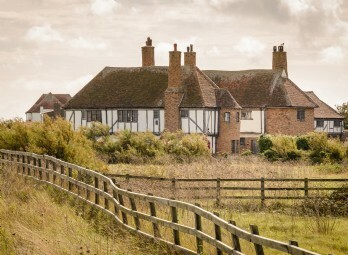 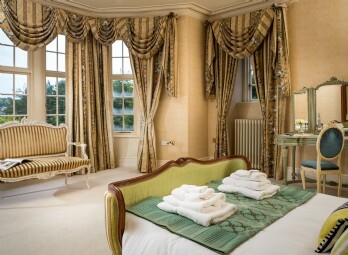 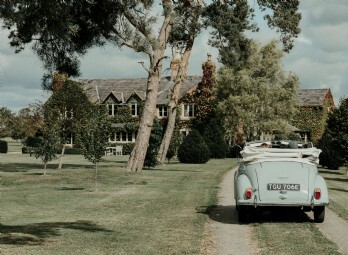 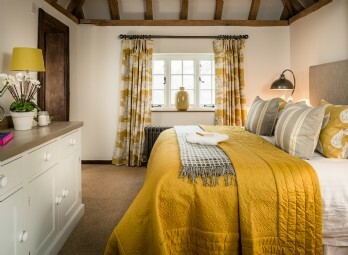 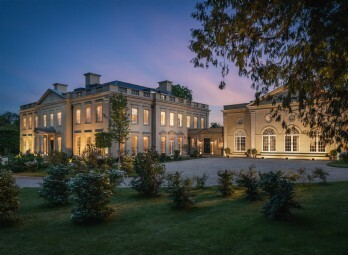 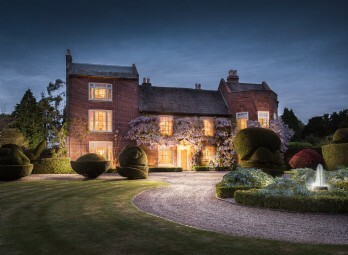 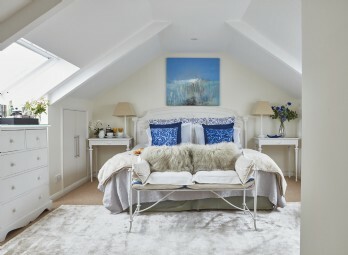 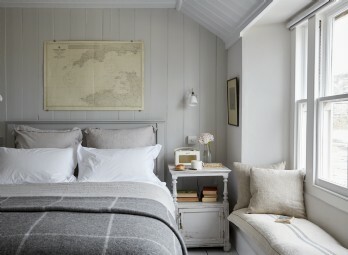 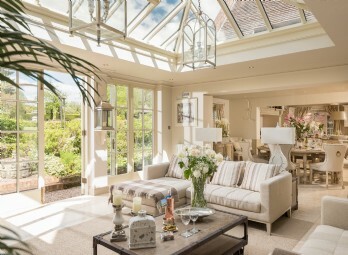 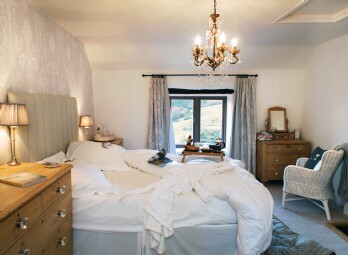 A true English country escape with lavish finishes and beautiful linens. 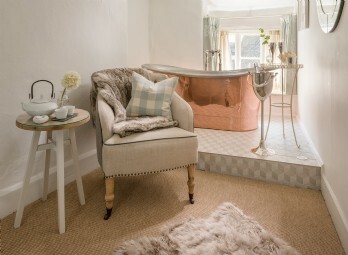 Features: Spa room with massage table. 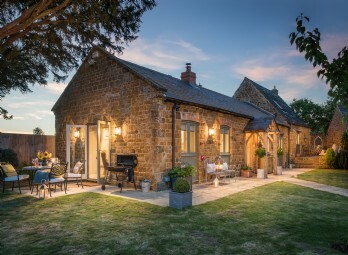 Embrace the vibrancy of rural sunsets, the scent of flower-filled gardens and the warmth of flickering flames from the open fireplace at this luxury modern barn set in a sleepy hamlet. 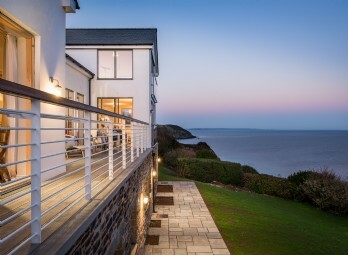 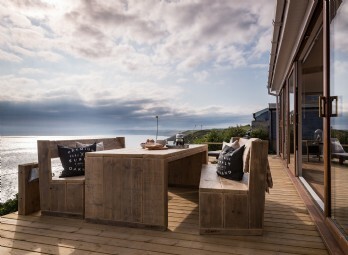 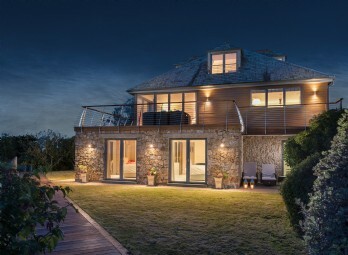 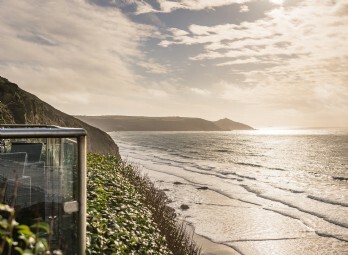 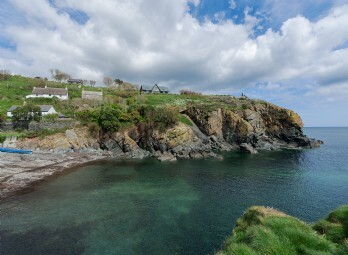 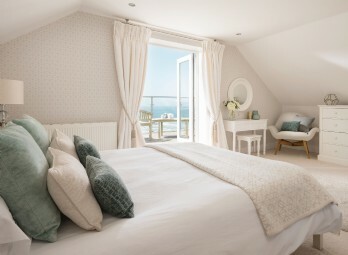 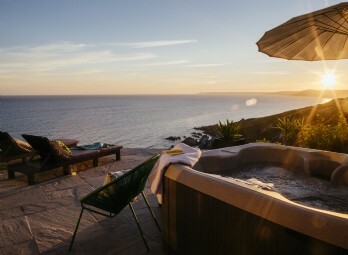 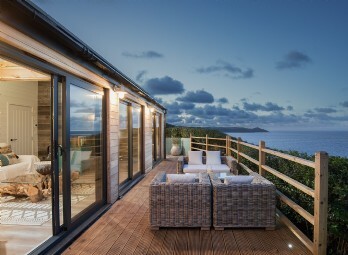 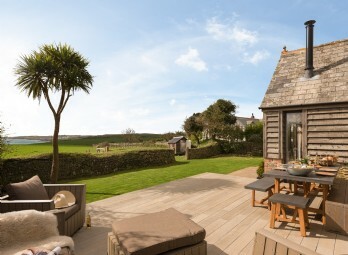 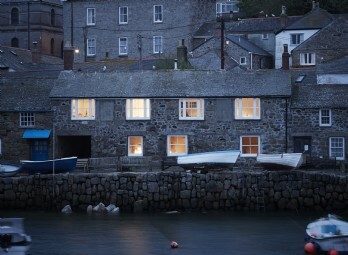 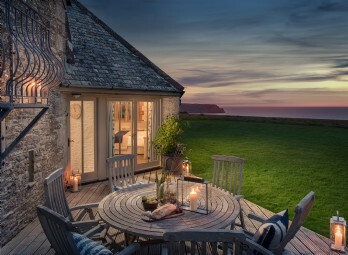 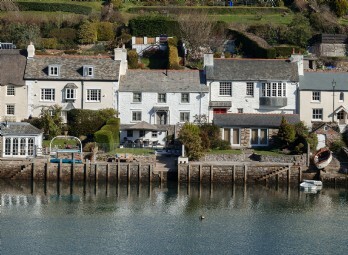 A luxury cliff-side beach cottage set in one of Cornwall’s most sought after coastal villages. 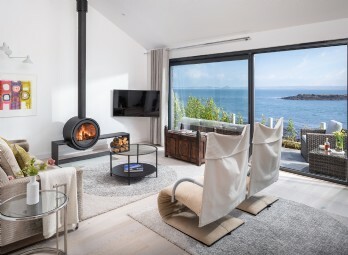 Perched above the turquoise waters of Trevaunance Cove in St Agnes and with stunning views across the horizon, this is the perfect hideaway for couples in love. 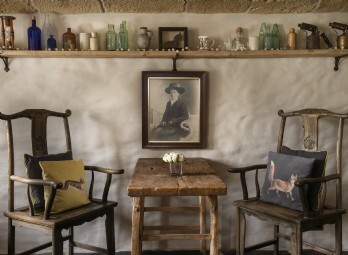 Pets: Two small well-behaved dogs are welcome. 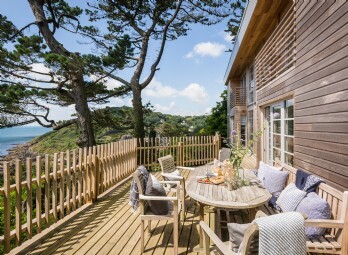 Set deep within the Cornish countryside, yet just three miles from Crantock beach on North Cornwall's golden coastline, this luxury holiday cottage is as quaint as they come. 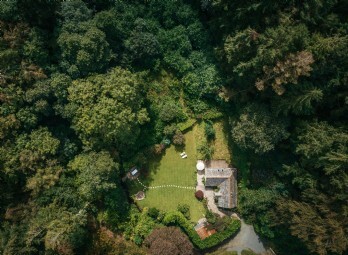 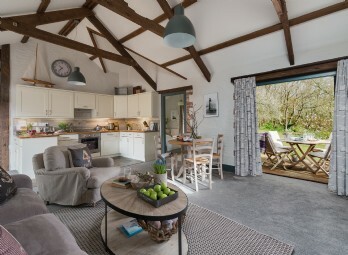 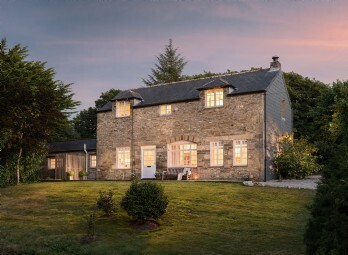 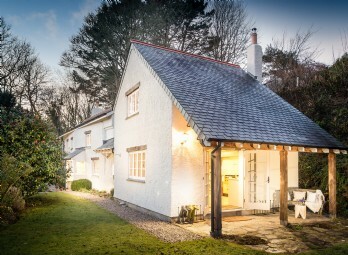 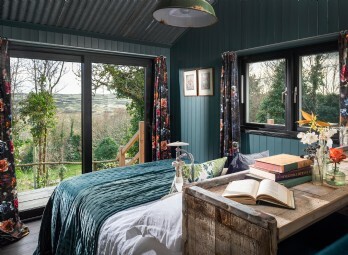 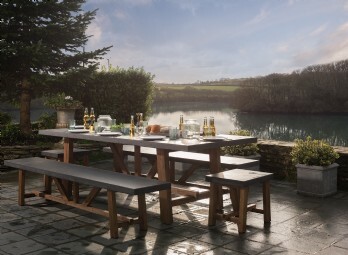 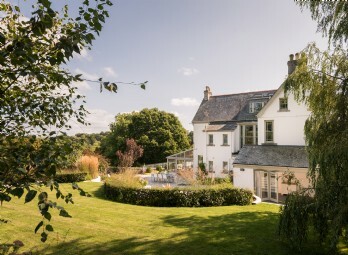 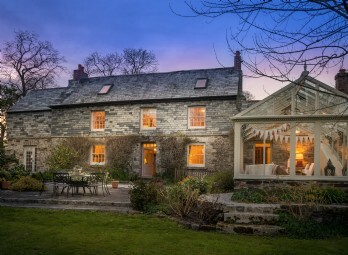 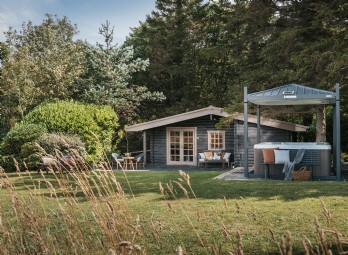 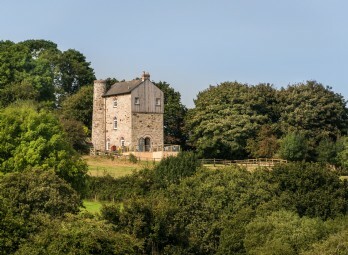 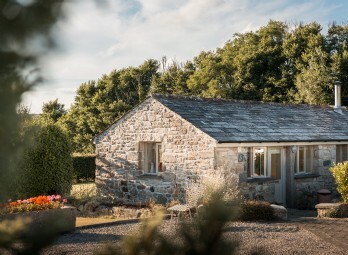 Libertine; a luxury self-catering bolthole set amidst a milieu of pretty woodland just outside Goonhavern village on the north Cornwall coast. 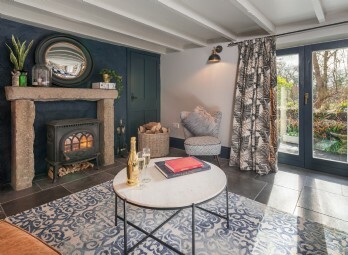 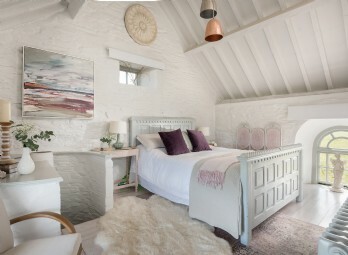 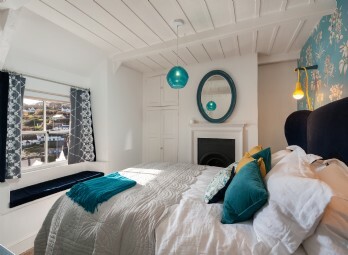 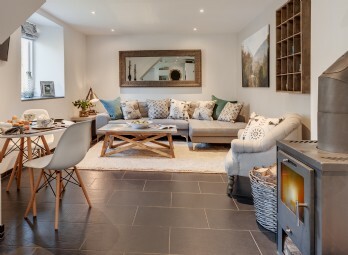 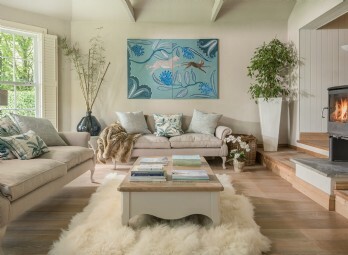 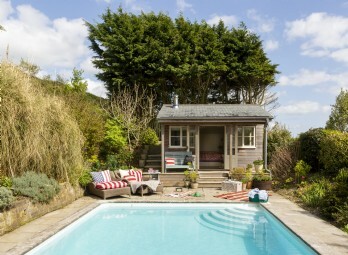 This fashionista’s cottage is positioned within a few miles of Holywell Bay, St Agnes and Perranporth beach. 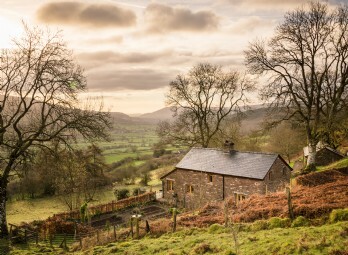 The Cable Hut nestles between the remote beaches of Abermawr and Aberbach in South Wales. 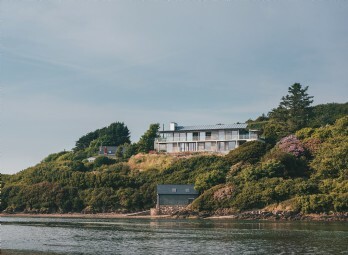 Set beside a single track road within metres of the Pembrokeshire coast path, a true castaway experience awaits from the moment of arrival. 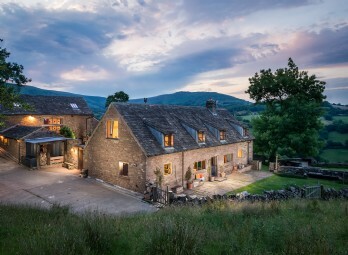 This romantic moorland bolthole could easily be mistaken for Kate Winslet’s ‘The Holiday’ cottage. 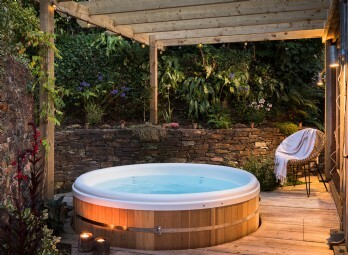 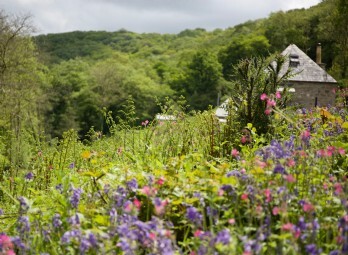 A secluded garden filled with beautiful blooms, wild strawberries and a hot tub makes it the perfect couples' retreat on the Cornish moors. 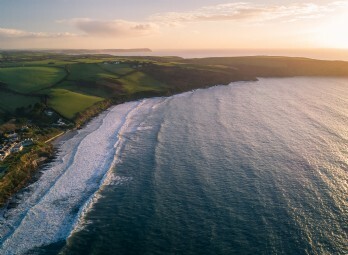 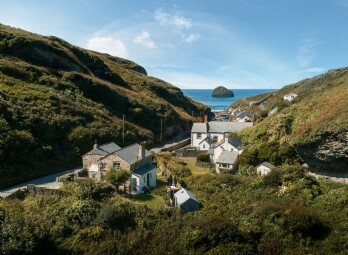 Find the tiny lane leading towards the Roseland in west Cornwall to enter a kingdom of turquoise bays, sandy coves and multi-coloured seaweeds. 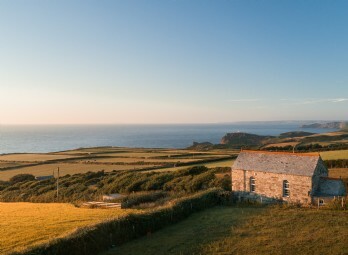 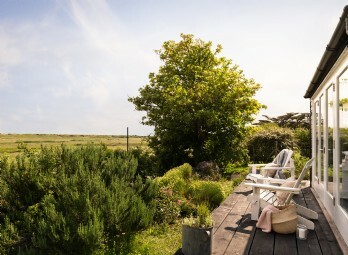 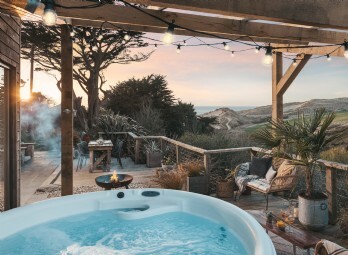 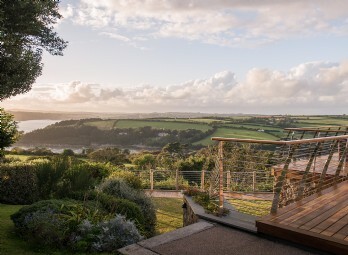 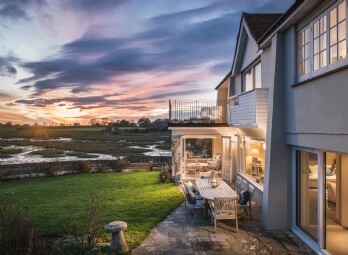 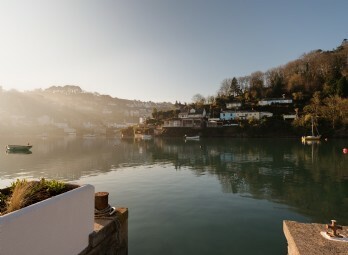 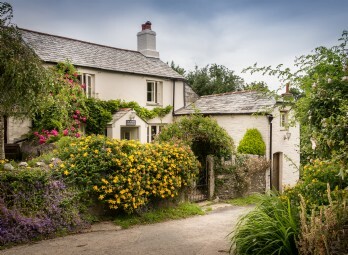 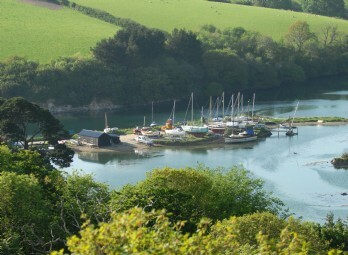 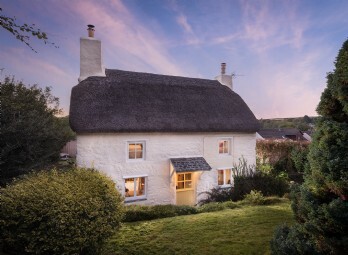 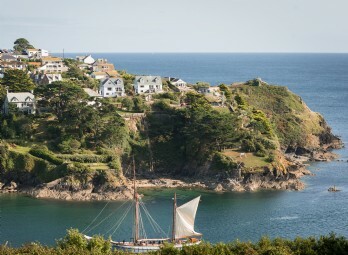 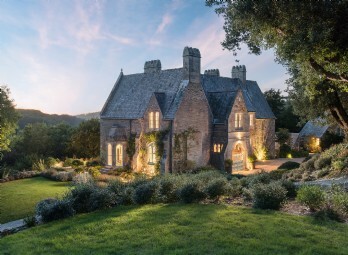 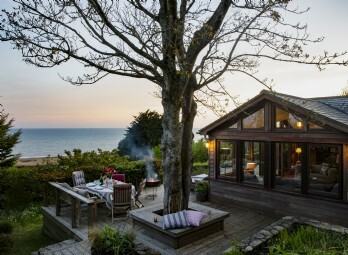 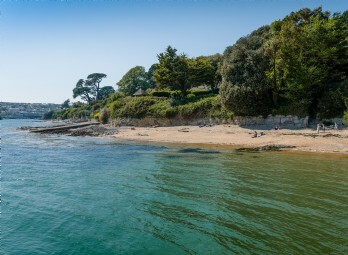 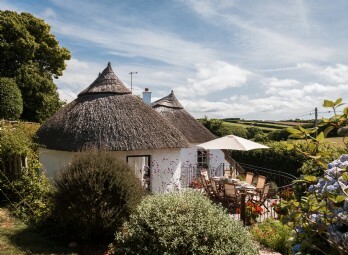 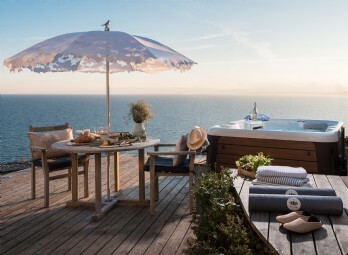 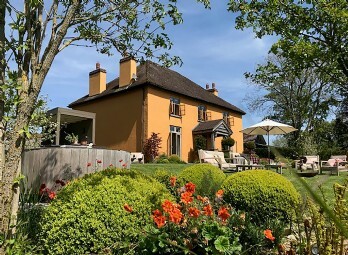 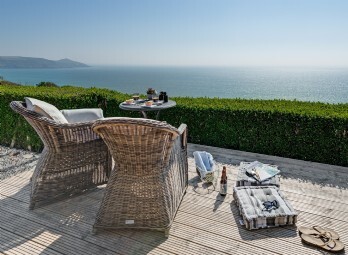 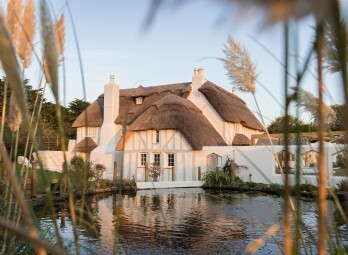 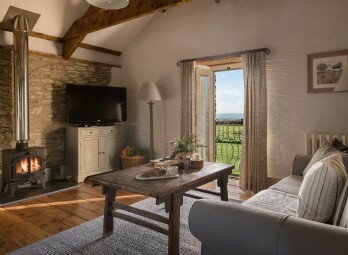 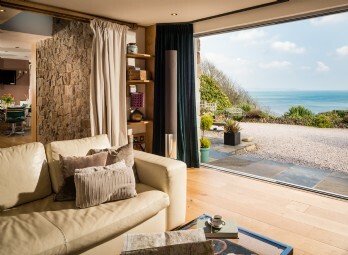 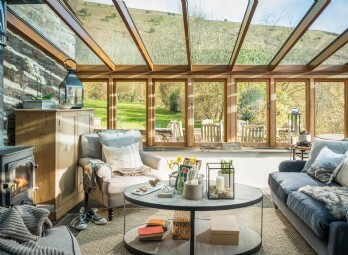 Hidden within this lush peninsula in the sweet hamlet of Treworthal is Seraphina; a luxury self-catering cottage made for spontaneous romantic getaways. 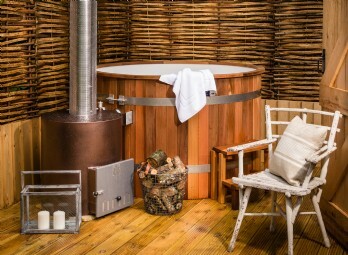 Tucked away on the southern shore of Loch Broom, Castaway is a luxury cottage with hot tub set above a private beach in the Scottish Highlands. 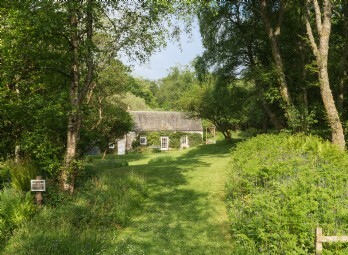 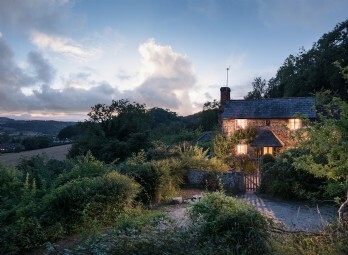 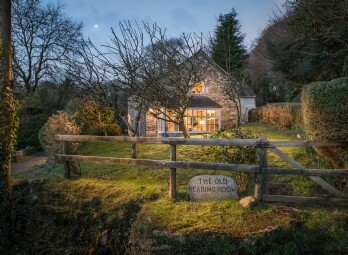 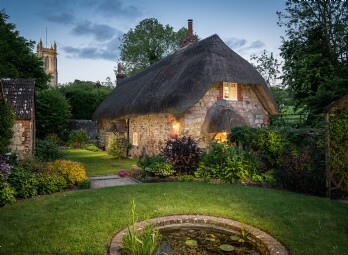 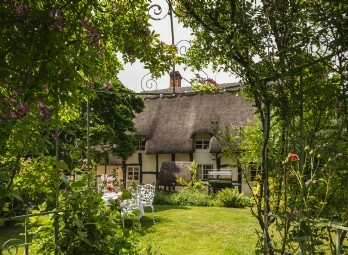 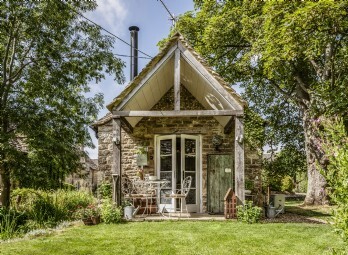 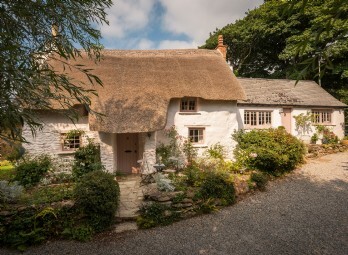 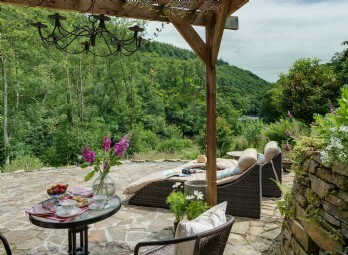 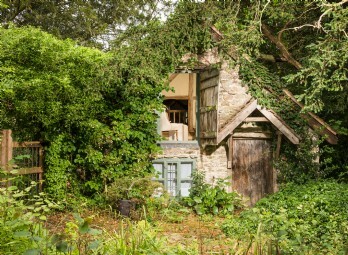 Radiating pure rustic romance this fairytale cottage settled on the edge of the magical Kennall Vale is the perfect refuge for both earth mothers and nature lovers alike. 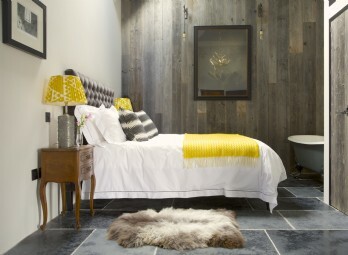 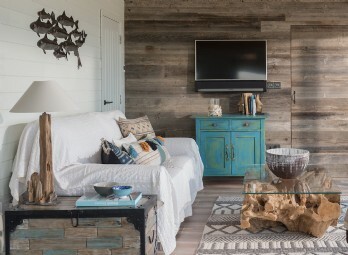 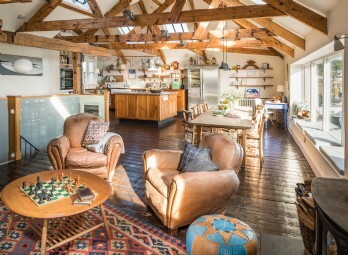 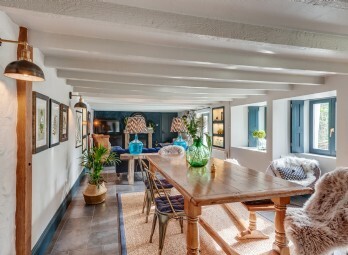 This rustic bohemian abode is set off the beaten track between Newquay and Watergate Bay. 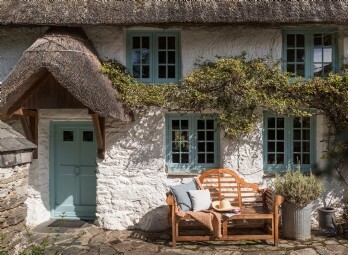 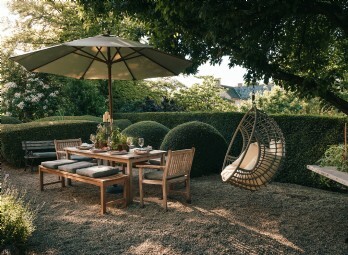 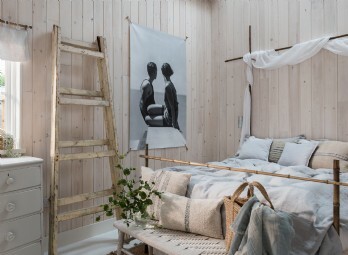 Pared-back yet sumptuous, with heavy French linens and indulgent inside-outside living, this handcrafted wagon’s wild heart beats a free-spirited rhythm throughout its nomadic soul. 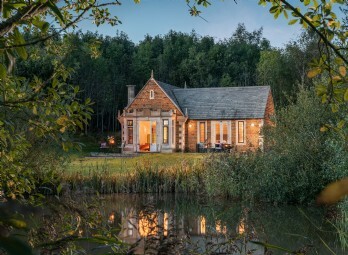 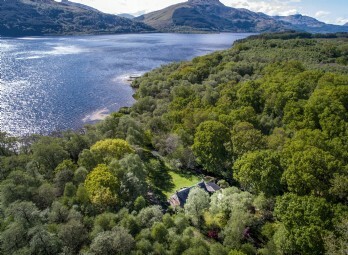 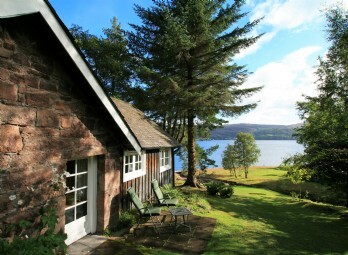 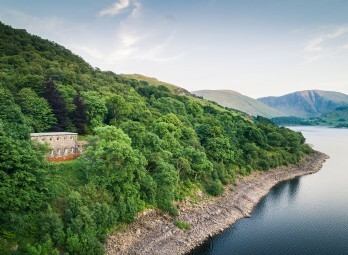 A unique romantic self-catering cottage nestled within the dramatic landscapes of Scotland's Western Highlands boasting breathtaking views. 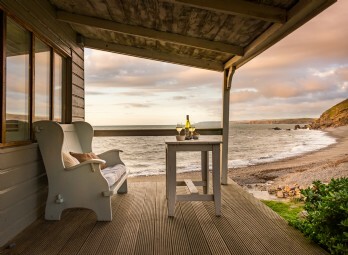 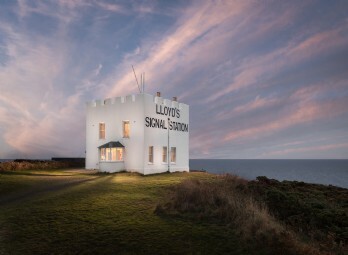 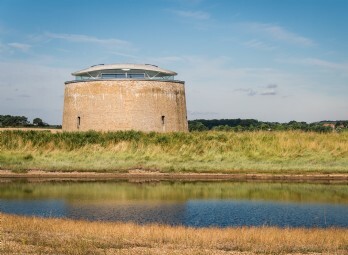 As featured on George Clarke's Amazing Spaces, this World War Two guard tower nestled on the coast in Shaldon has been brought bang into the 21st Century with an armoury of quirky mod cons, making it the perfect retreat for two. 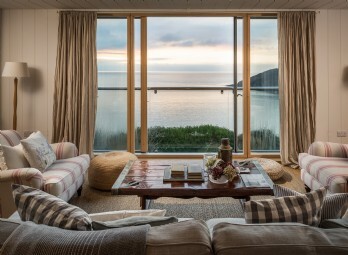 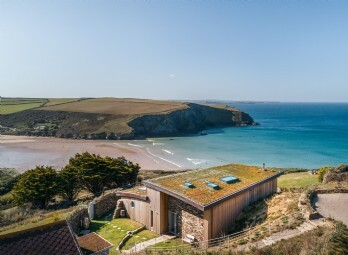 An unexpected discovery at the end of a Cornish country lane, this luxury self-catering hideaway near Perranporth beach combines rusticity with contemporary clean-line appeal. 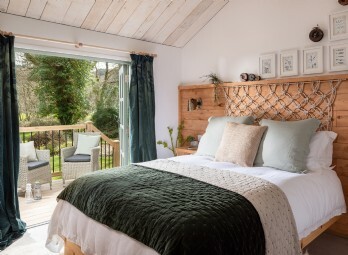 Little Gillyflower is a beautifully romantic self-catering cottage right on the river's edge near Gunnislake; just perfect for lovebirds looking for a romantic escape in the Tamar Valley. 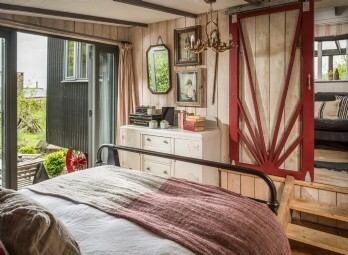 Crooked and charming, this pretty red tin cottage is the perfect couples' retreat just a mile’s amble from Holywell Bay, with reclaimed finishes, trailing plants and an al fresco hot tub. 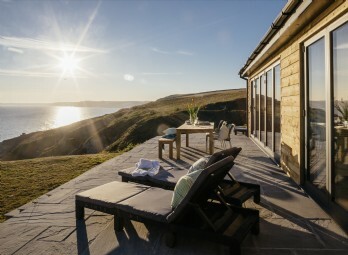 Nestled between the popular villages of Boscastle and Tintagel, Aphrodite flaunts magnificent sea views and secluded romance. 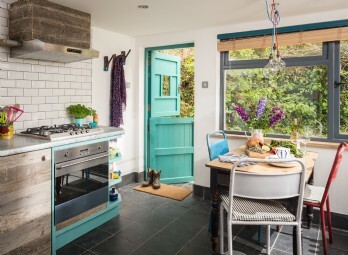 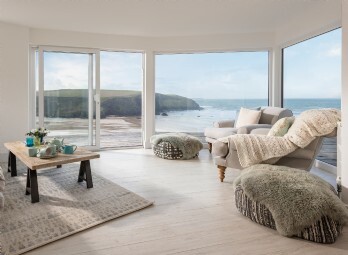 Set over five higgledy-piggledy floors, this unique holiday home offers an unfortgettable escape to Cornwall's north coast. 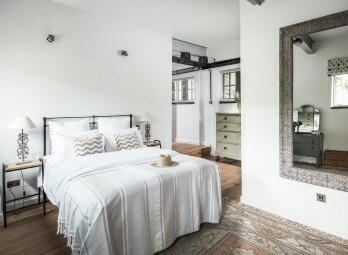 A boutique boat house designed with romance in mind, Dragonwood Boat House is a traditional Victorian bolthole with a modern Italian twist. 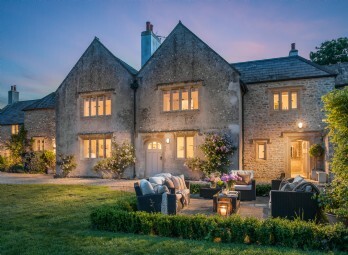 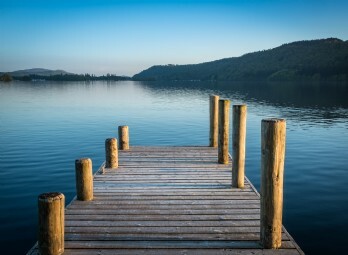 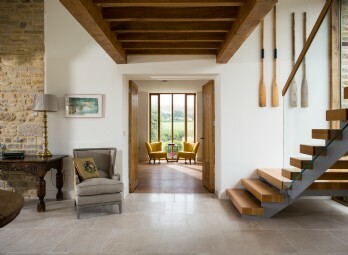 This lakeside abode near Oakham, Rutland offers luxury self-catering breaks in the most magical of settings. 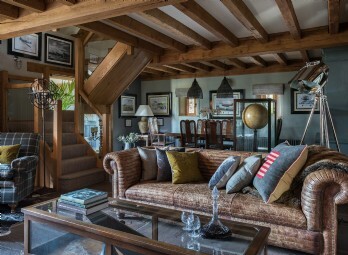 Blending style with a big dose of ingenuity results in something truly quite magical here at Filly Island. 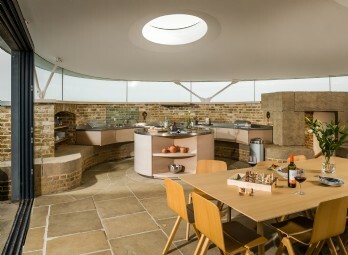 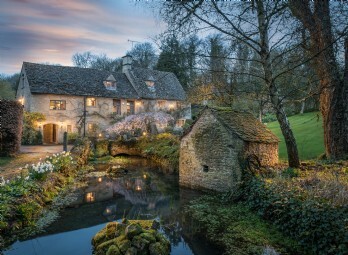 This unique cottage in Cirencester is sat upon a tiny island accessed by a humpback bridge. 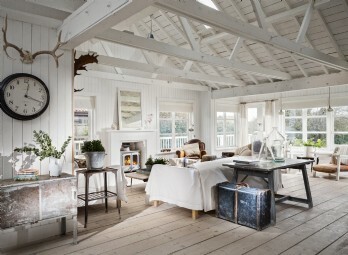 Pre-loved finds are revivified to bring about the unique interiorscape at Filly Island. 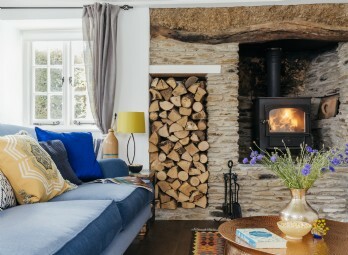 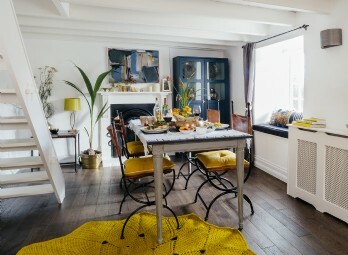 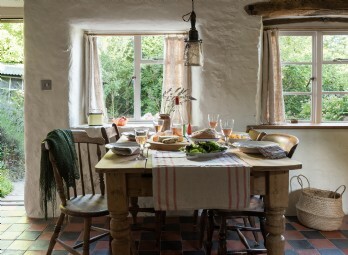 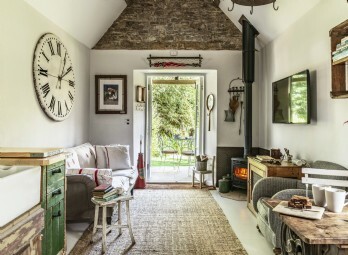 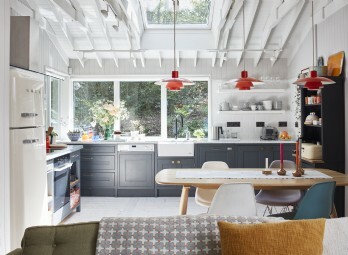 Approached through a meadow of buttercups, bluebells and pink campion, Little Otterling is a chic cottage with a cool Scandi style hunkered down on the banks of the River Tamar. 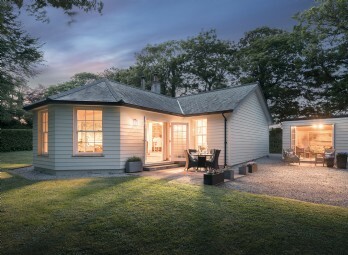 The Cotton Tree is a Queenslander-style clapboard cottage inspired by tropical beach houses and barefoot living. 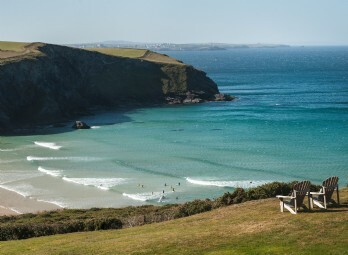 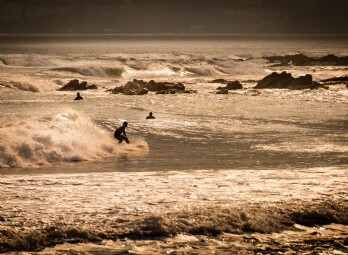 Set on the north Cornwall coast, Holywell Bay and Porth Joke beach are within easy reach. 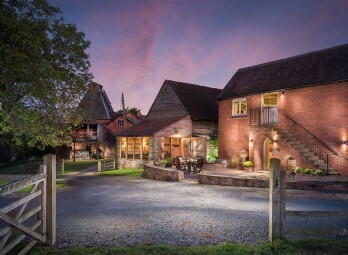 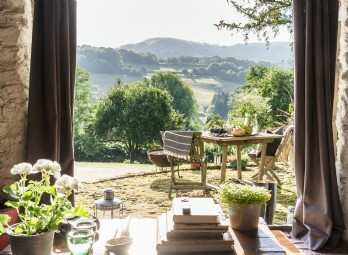 Tranquillity and romance unfold in the heart of the Malvern Hills at this rough-luxe self-catering barn conversion set in 16 acres of Outstanding Natural Beauty. 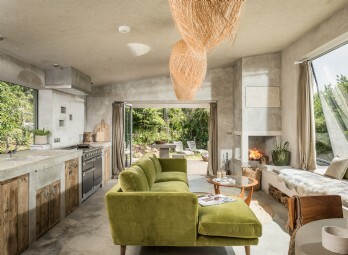 Wishbone is perfect for couples wanting to go off the radar into their own little paradisiacal land. 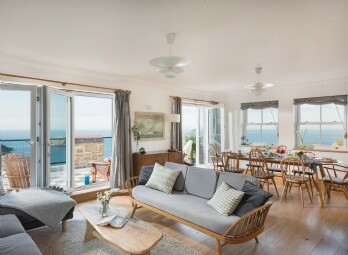 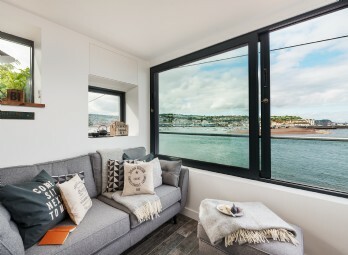 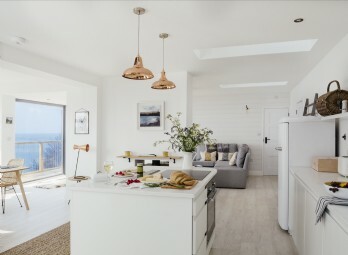 If your dream luxury break includes wild swimming, fine-dining hangouts and listening to vinyl records by the fire, then this Scandi-inspired modern beach house in Porthleven will be one to tick off the bucket list. 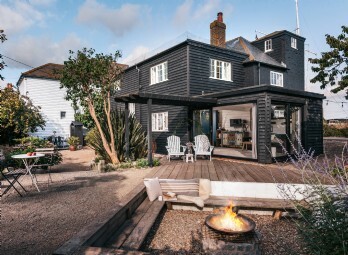 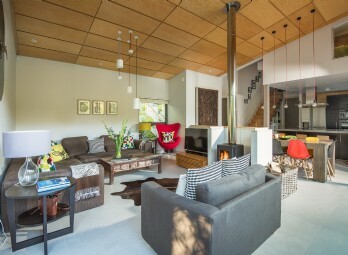 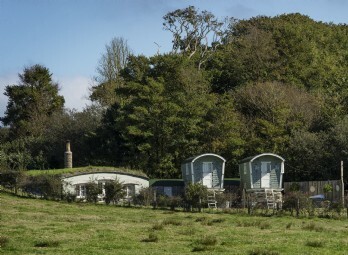 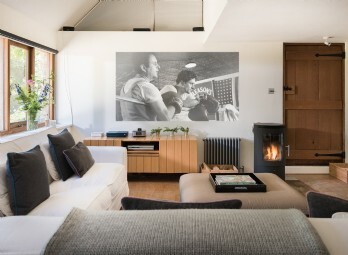 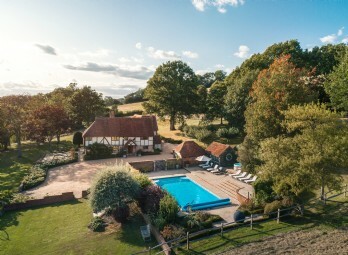 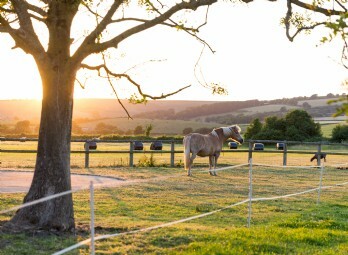 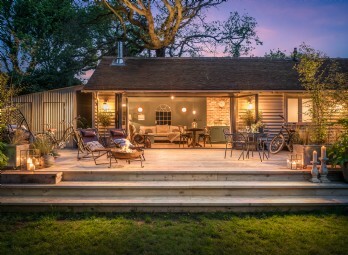 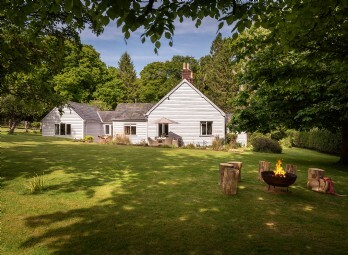 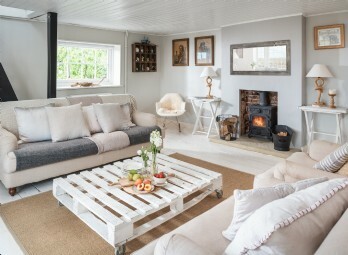 Bordering the New Forest in the idyllic Lymore Valley, this industrial-inspired retreat comes complete with a huge lawn for morning yoga, hot tub, fire pit and his'n'hers cruiser bikes for peddling down to the beach. 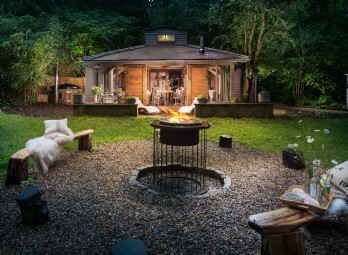 Nomadic types will love Firefly’s earthy, back-to-nature appeal. 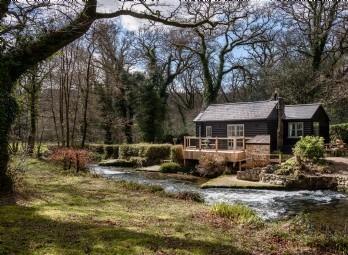 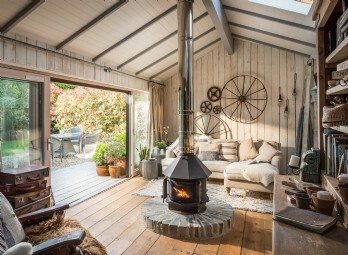 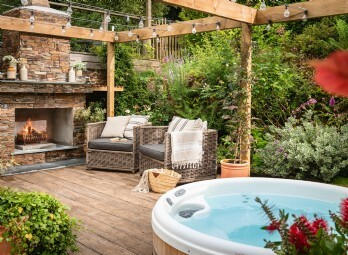 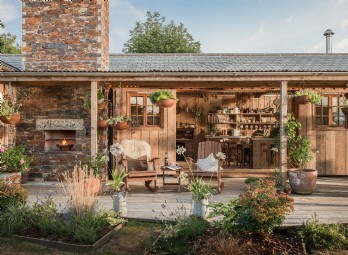 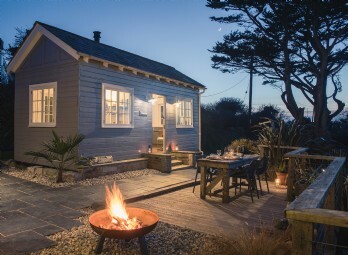 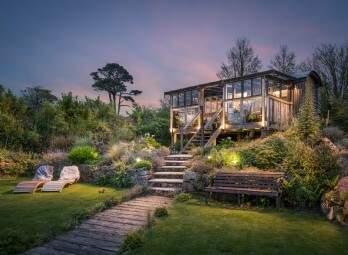 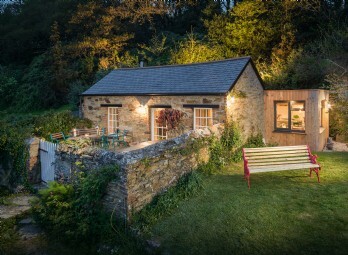 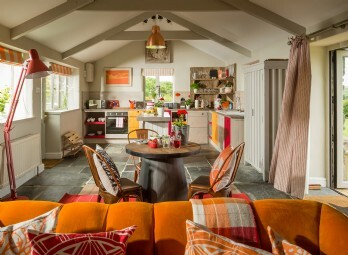 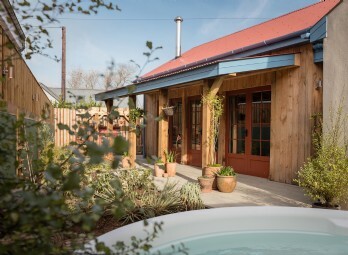 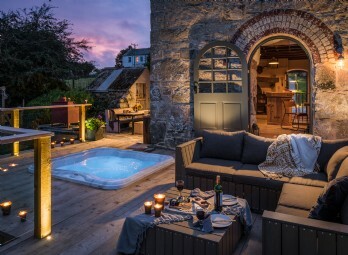 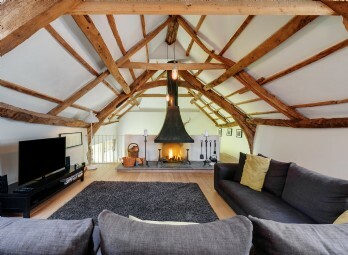 Handcrafted using rough cut timber and complete with a double smoking chimney, hot tub and wildlife pond, Firefly is an intriguing cottage hideaway in Cornwall perfect for couples. 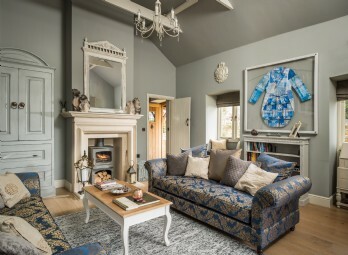 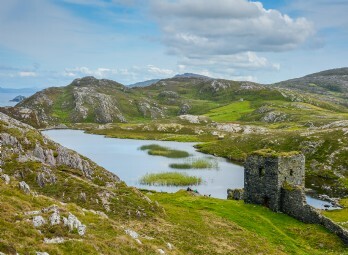 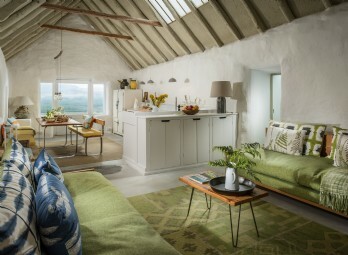 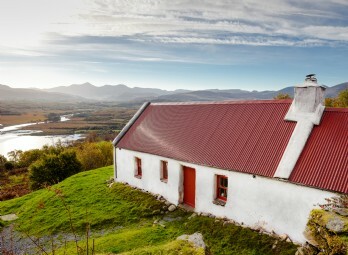 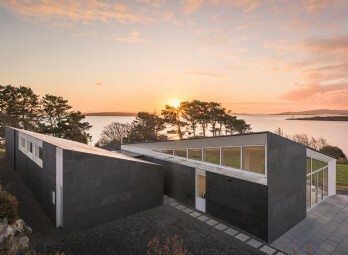 For a far-flung romantic getaway or unique solo break, this luxury self-catering chapel conversion on the Isle of Skye in the Scottish highlands is the perfect sanctuary. 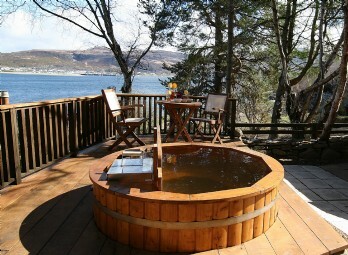 Relax in the spa bath and enjoy views over Loch Harport after a day on the mountains. 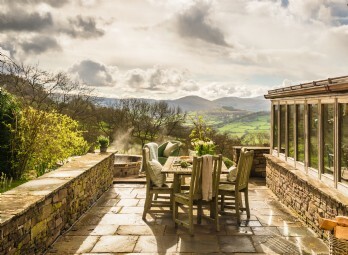 Perched on a hill overlooking the Conwy valley, this luxury log cabin sits on the border of Snowdonia, enveloped by big skies and soaring mountains. 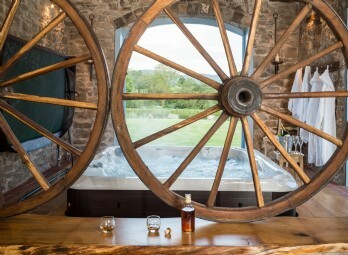 Whether hill hiking or gorge trekking, the hot tub and sauna will be the perfect remedy to the day's adventures. 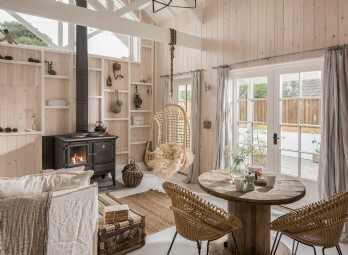 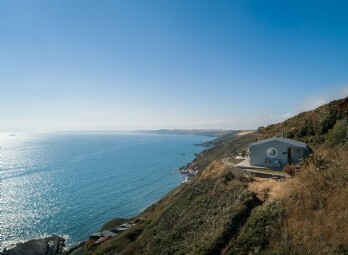 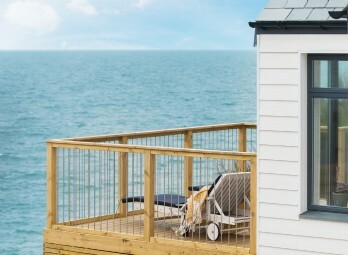 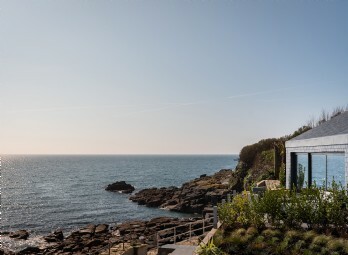 As seen on ITV's 'Cornwall' with Caroline Quentin and George Clark's Amazing Spaces, this quirky 1930s luxury beach hut is becoming quite an iconic dwelling within the north coast of Cornwall. 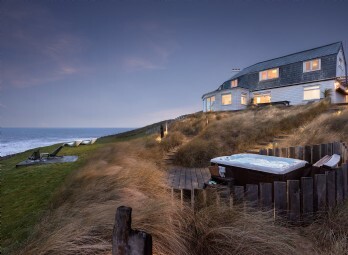 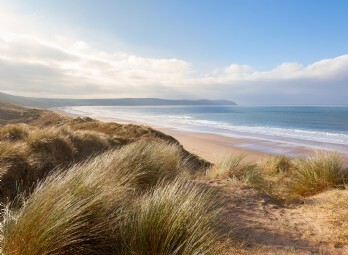 Its unique position with Holywell Bay’s sand dunes makes it perfect for romantic self-catering weekends by the sea. 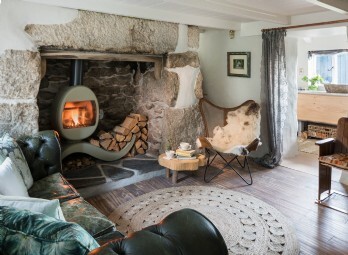 Steeped in history and wrapped-up in romance, this luxury stone cottage sits on the western fringes of Cornwall's Bodmin Moor. 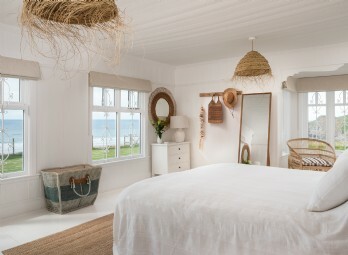 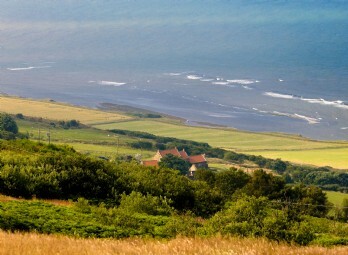 From sunset walks along the beach to moorland picnics by trickling streams, an escape to The Poet's Hideaway has it all. 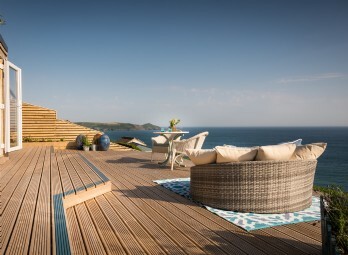 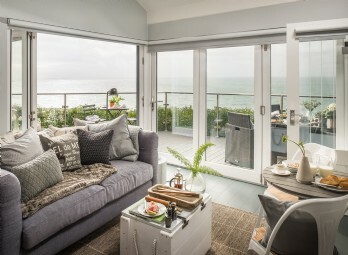 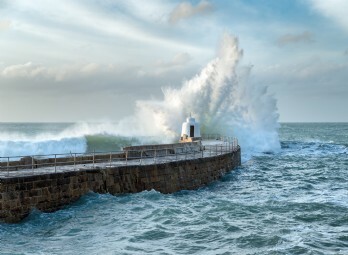 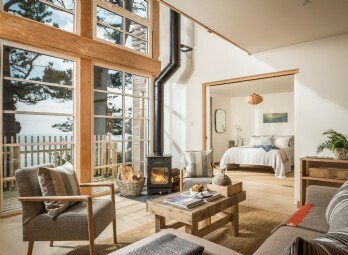 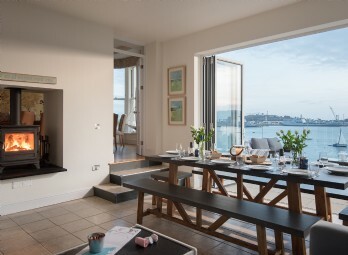 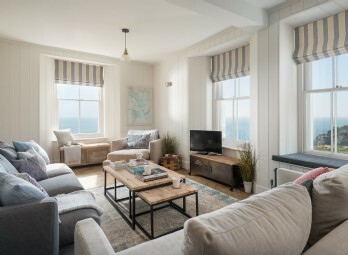 North Rock Beach House is a spectacular luxury beach house overlooking the the sea and Sennen Cove in West Cornwall- voted by Conde Nast Traveller as one of Britain's best beaches. 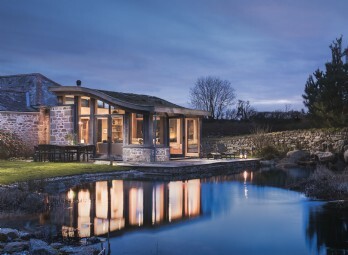 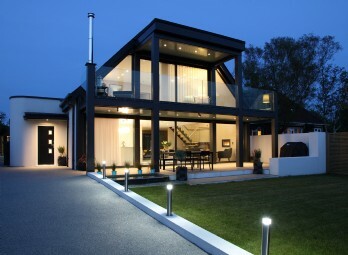 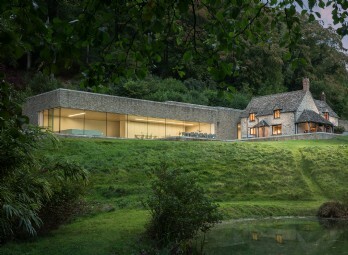 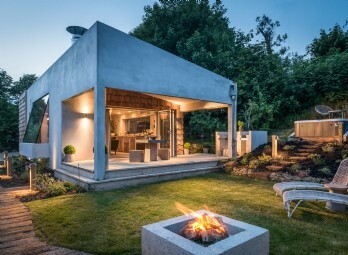 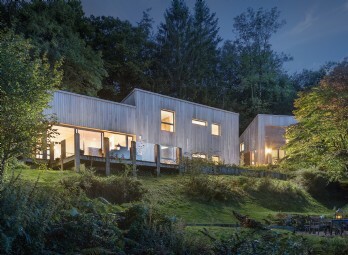 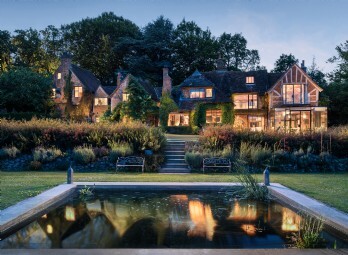 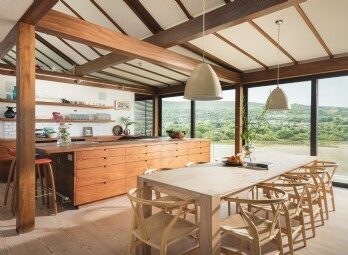 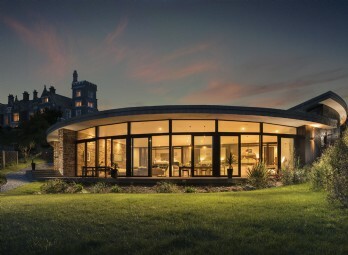 Dynamic pairing of luxury architect-designed properties in a beautifully secluded valley location in the Cotswolds. 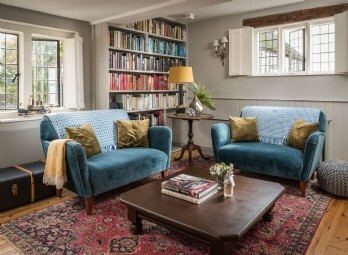 The Old Monastery in Burton Bradstock is a luxurious self-catering manor house exuding elegance and style located just a stone's throw from the Jurassic Coast in Dorset. 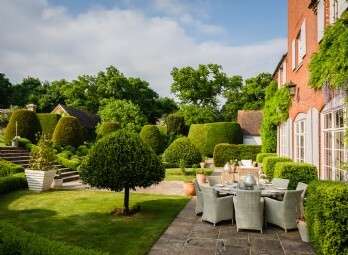 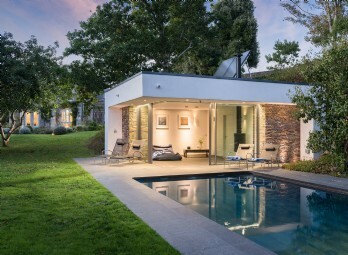 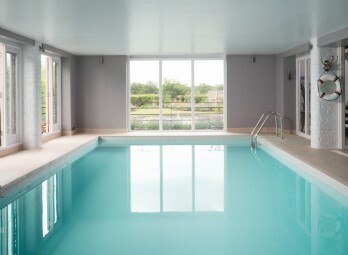 Nestled in tranquil gardens, there is plenty of space for all the family to enjoy. 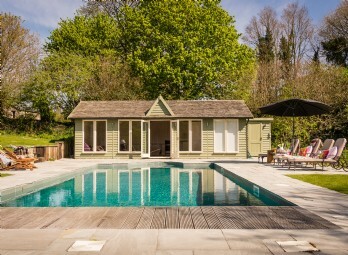 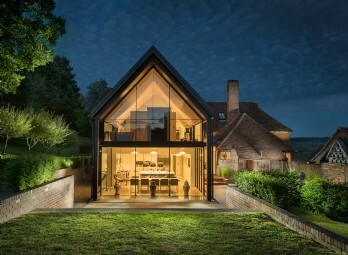 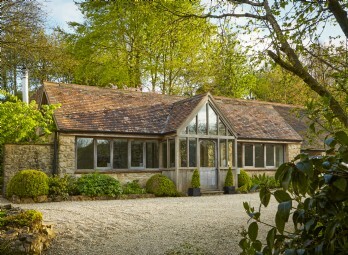 Found at the end of a sweeping tree-lined drive, Ariabelle is a lavish home promising guests the ultimate luxury self-catering experience all wrapped up within the South Downs National Park. 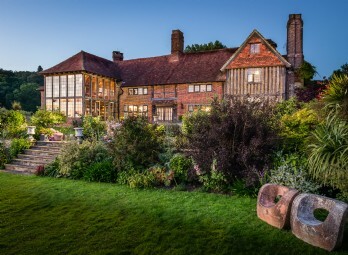 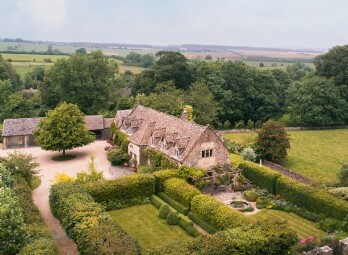 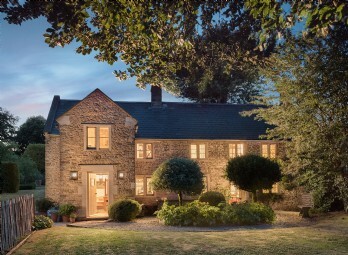 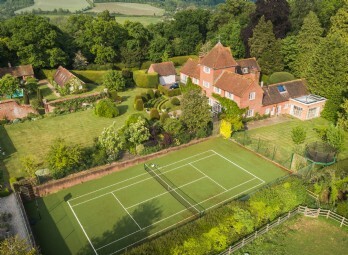 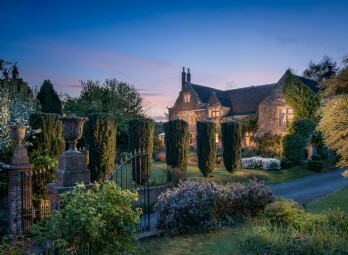 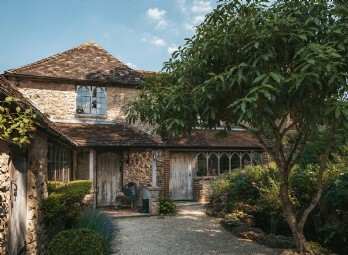 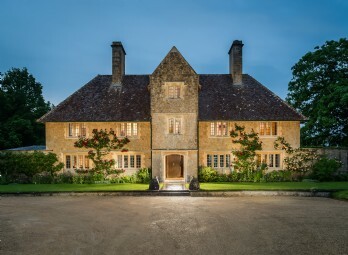 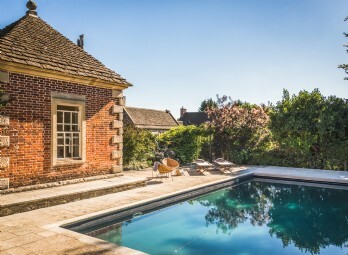 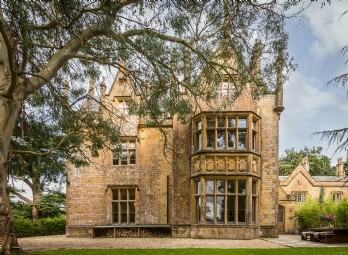 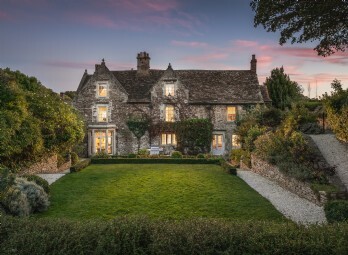 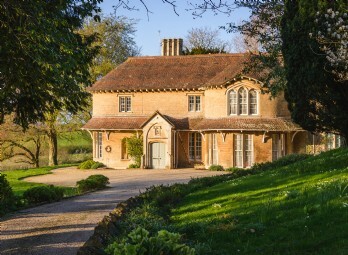 Once a famous butterfly farm, this 16th Century manor near Sherborne flaunts a state-of-the art cinema room amidst its abundant art-filled living spaces. 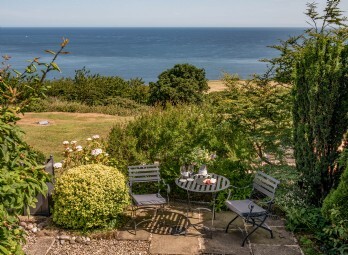 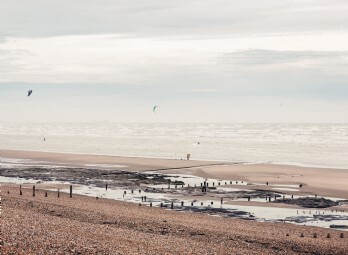 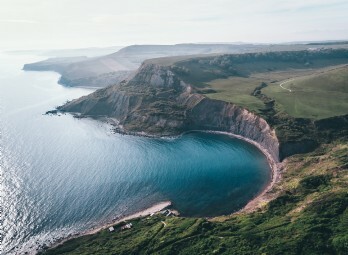 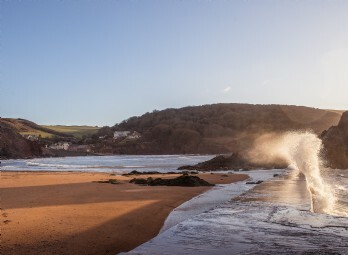 With the Jurassic coast less than half an hour away, one truly great escape awaits. 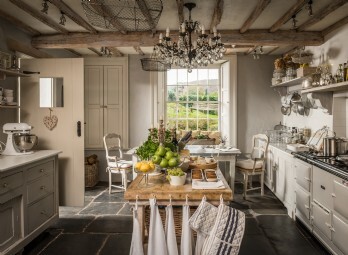 Hugged by a scrambling rose garden and woodland glades, this rock 'n' roll home brings together traditional country chic with gorgeous faded glamour. 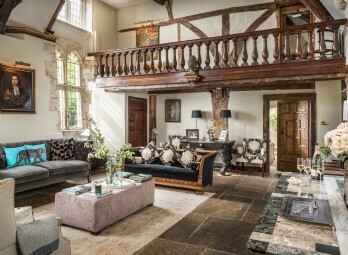 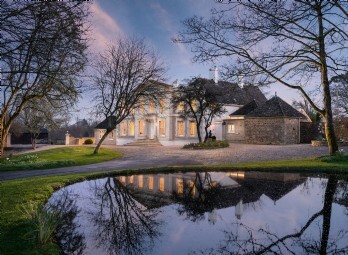 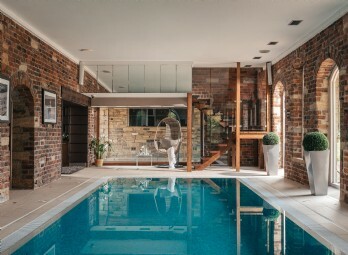 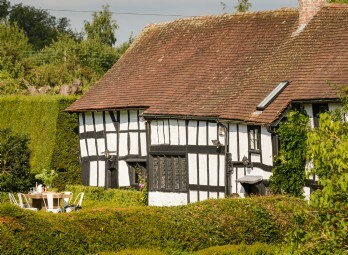 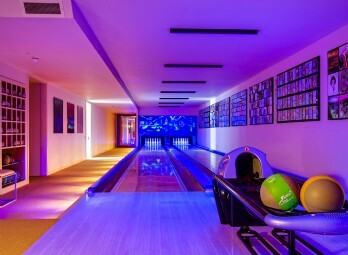 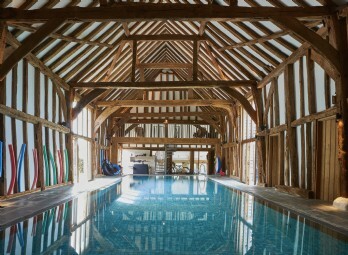 A unique setting for special celebrations and self-catering escapes. 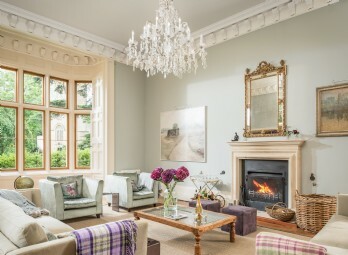 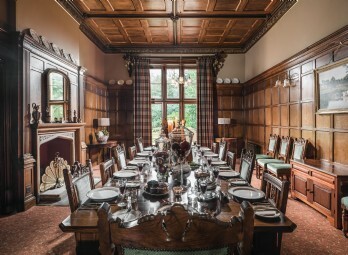 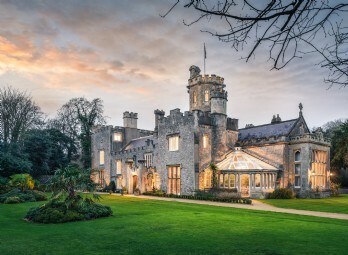 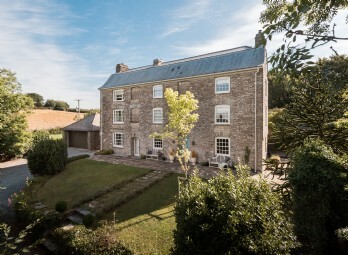 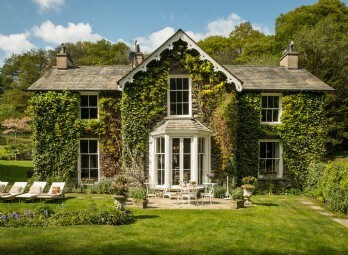 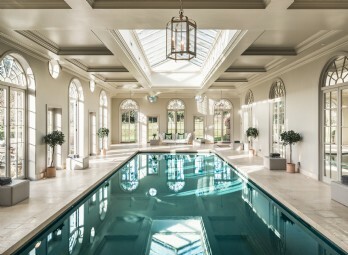 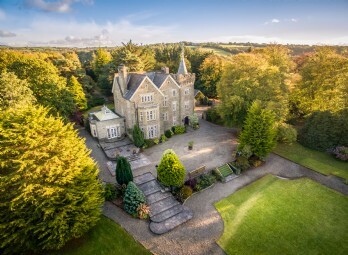 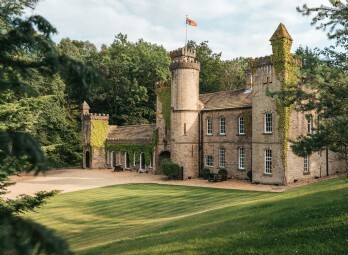 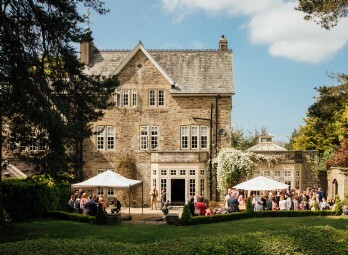 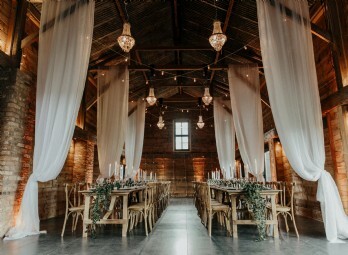 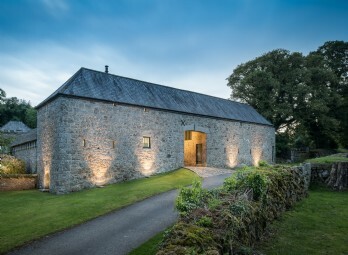 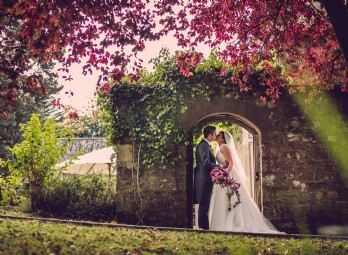 A striking country home with flamboyant decor offers a unique wedding venue for those wanting to tie the knot in Wales.